Nintendo Switch owners are already used to getting the short end of the stick when it comes to third-party ports. Most games that make the jump from the Xbox One/PS4 take a hit visually, and often “You can play on the go!” is the only special feature Switch owners get in return. Well, it seems like Arc System Works and Bandai Namco are really going the extra mile with the Nintendo version of Dragon Ball FighterZ. As revealed today, the Switch version of the game will have several new local match types, including 1v1, 2v2, and a 6v6 melee! For those unfamiliar with Dragon Ball FighterZ, it’s usually a 3v3 game, so 1v1/2v2/6v6 ought to shake things up in a fun way. 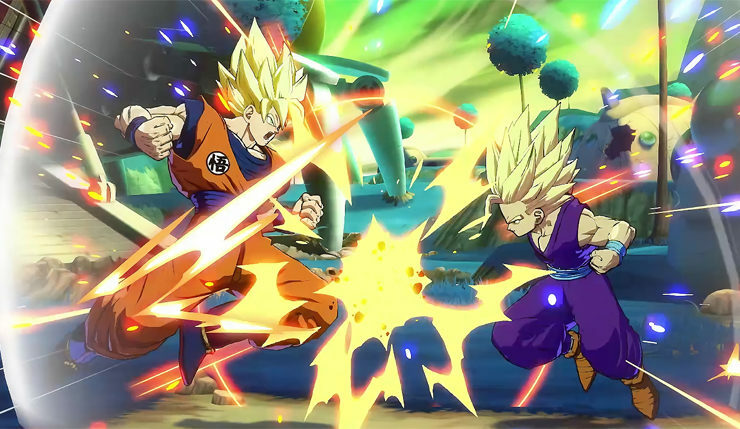 It’s unknown if these match types will be coming to other versions of FighterZ, but Bandai Namco did promise “exclusive features” when they announced the Switch version back at E3. Oh, and don’t worry, the Switch’s new local match types aren’t a replacement for online play – as the tweet above mentions, online beta testing kicks off in early August. Overall, Dragon Ball FighterZ for Switch seems to be shaping up well – check out some 60fps gameplay, courtesy of Dante Nintendo Switch Channel, below. Dragon Ball FighterZ is currently available on PC, Xbox One, and PS4. The Nintendo Switch version arrives on September 28.